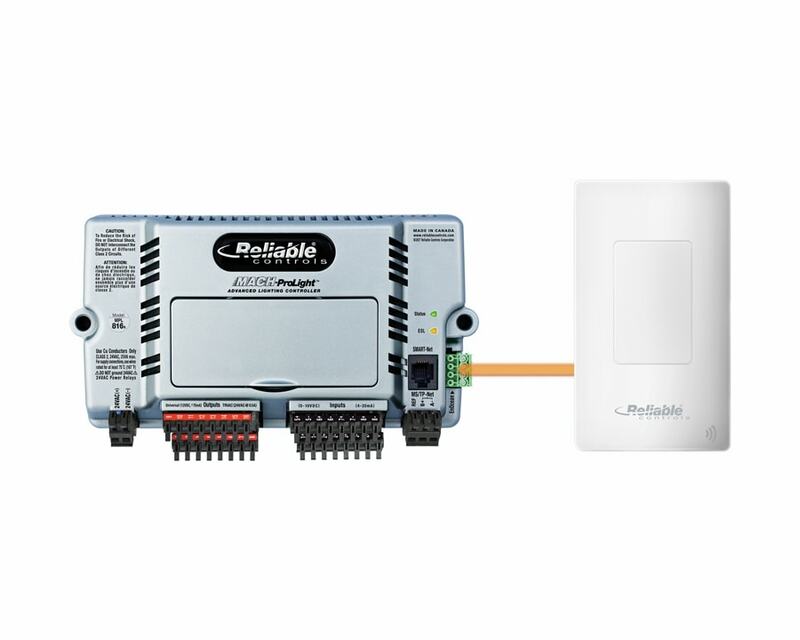 Compatible with EnOcean Equipment Profiles (EEP) 4BS*, 1BS, and RPS. 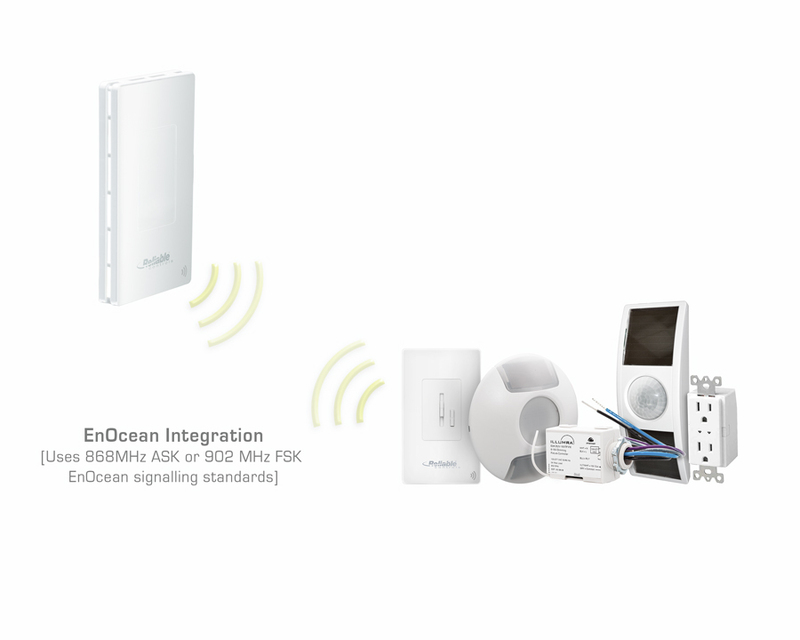 EnOcean is the wireless standard for sustainable buildings. 57.6 kbps, EIA-232 serial data port. Uses amplitude-shift keying (ASK) radio. Uses frequency-shift keying (FSK) radio. 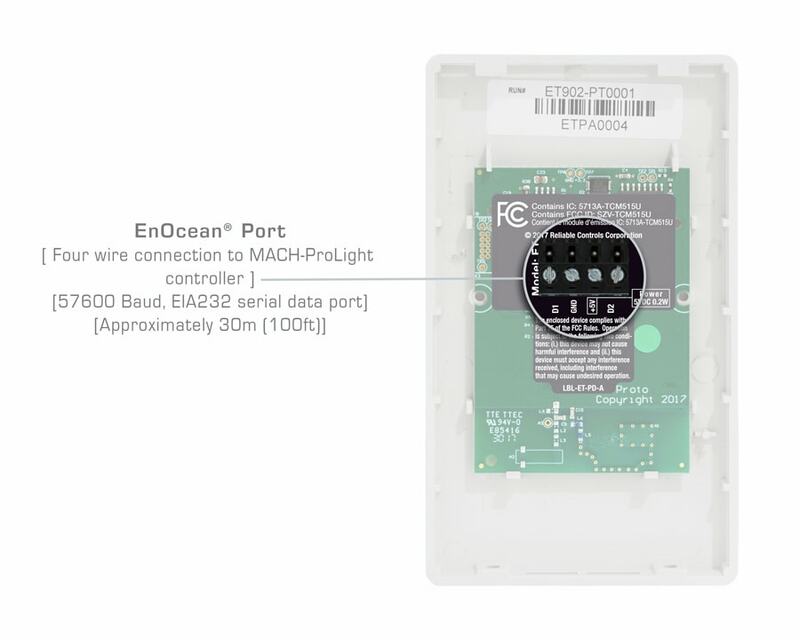 MACH-ProLight EnOcean worksheet, resides in MACHProLight controller. EnOcean values are automatically stored as virtual BACnet value objects in the controller database (Some sensors support multiple transducers / values). Easy 4-wire terminal block connection. Recommended wire is 14-26 AWG (2.08 mm2 to 0.13 mm2) 30 m (100 ft.) maximum distance, low capacitance <25 pf/ft. 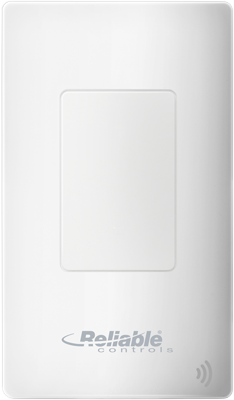 Indicates received signal strength in software. FCC CFR-47 Part 15 (TCM 515U). R&TTE EN 300 220 (TCM 515). 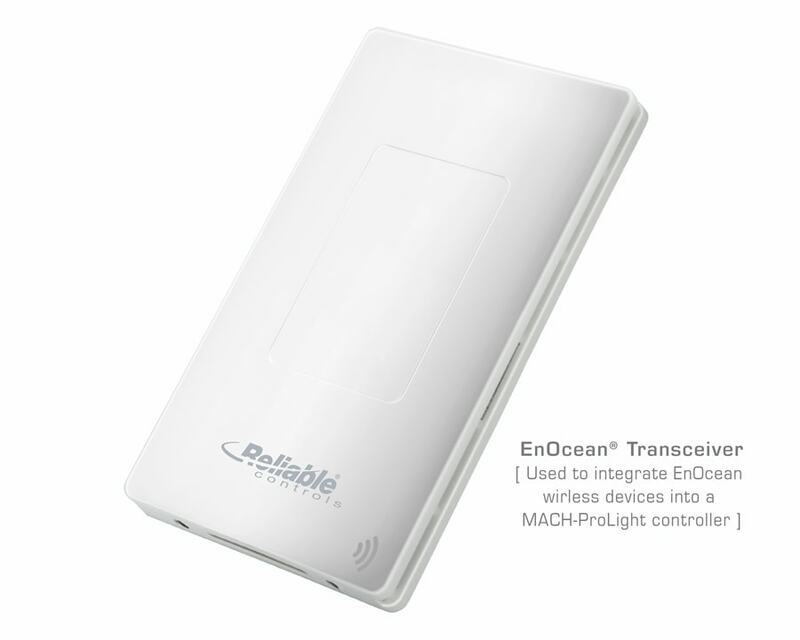 *** Transmit functionality only available on MACH-Pro series products. ESP - 5 VDC @ 35 mA. Frequency: 868 MHz or 902 MHz. Receiver sensitivity (@ 25 °C). - 868.3 MHz ASK: -93 dBm. - 902.875 MHz FSK: -98 dBm. - 868.3 MHz ASK: +10 dBm. - 902.875 MHz FSK: +1 dBm. - R&TTE EN 300 220 (TCM 515). - FCC CFR-47 Part 15 (TCM 515U). 30 m (100 ft.) line of sight max. 4 3/4” L x 2 3/4” W x 15/16” H (12 cm L x 7 cm W x 2.4 cm H). Operating: 0 °C to 50 °C (32 °F to 122 °F). Shipping: -25 °C to 60 °C (-13 °F to 140 °F).